Last years our list of the best earphones under $50 (Best budget in ear headphones list) was a huge hit so we wanted to follow it up this year but at the same time expand the budget for those folks with a little bit extra to spend on. The headphone industry has been growing fast over the past 12 months and many new in-ear headphones have hit the market. The rise of the Chinese IEM market has been the main driver of the budget earphone market and people are now getting great sound at a fraction of the price they used to pay for in previous years. You are still, of course, going to see a number of familiar names from previous years because when something sounds good it usually still sounds good and over time we have seen a number of these more expensive earbuds become even more affordable. The price drops the longer they remain on the market. To make our cut all the in ear headphones listed below need to meet our strict criteria by balancing a combination of killer build quality, amazing sound and great value for money. What Gear I Use and Why? If you follow the world of portable audio you won't be surprised to see Knowledge Zenith on this list. In fact they are set to appear twice. No one does value like KZ and the ZS3 are a prime example of why they have such a stranglehold on the ultra cheap headphone market. 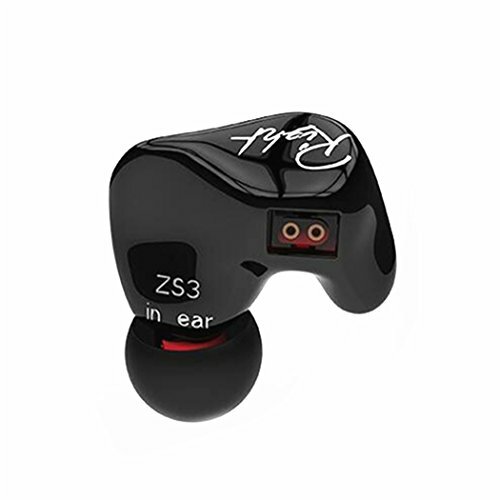 Featuring a host of features commonly found on high end earphones (like detachable cables, over the ear fit and surprisingly high detail retrival) the KZ ZS3 represent everything that is great about this new wave of budget earphones from china. In all honesty I have no idea how KZ are able to an in ear headphone that looks sounds and feels so good at just a tad over $10. We couldn't recommend them more even if it is as a spare set for the kids or as a back up to your much higher priced IEM's. When we reviewed the KZ ATE earbuds last year, we were blown away by the amount of value that a budget earphone could offer. The sound was fairly balanced with a slight tint towards the bass end of the spectrum which made it a great all rounder that worked with a variety of music genres. The sound was honestly befitting of an earphone many times its price. Lots of detail and reasonably large soundstage were uncommon at this price . It is also very uncommon to see such a budget earphone to come in sporting this sort of design. The monitor style over the ear design helps them to stay in place making them a good headphone for sports and travel without them ever falling out. The cable is another bonus here with it being a very cool looking braided copper that we found to be very resistant to tangling. There is also some unique innovation that we haven seen before in the way of the hanging weights as opposed to ear-guides. This method helps to keep the earbuds cable hanging behind the ear. Fit was extremely comfortable and a good selection of quality buds are provided in the package to get you going. Truly one of the best earphones under $20. 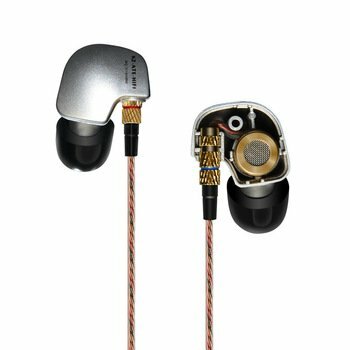 The Soundmagic E10 earbuds have been on the market for many years now yet they still pop up on almost every best budget earphone list. Thats no surprise because the E10 offer up boatloads of desirable features for only $40. The all metal housing is extremely strong meaning that they are able to take years of abuse from being thrown in a backpack and getting dropped on a hard surfaces. The cable is another bonus with it being resistant to tangles as well as having a good thickness. A custom metal jack and Y-splitter as well as metal filters and gold plated jacks are also all present on this IEM. Sound is very well balanced the E10 offer a clean and detailed listening experience suited for users wanting to listen to the earphones with rock, indie, folk etc. It also has the ability to drop a good level of bass even if it isn't quite as punch as something like the Zero Audio Carbo Basso listed below. The Sounmagic E10 also come in a range of different colours which makes them a suitable option as a budget earphone option for the fashion conscience but don't be fooled these earbuds will sound infinitely better than anything Dre's Beats have produced over the past few years. 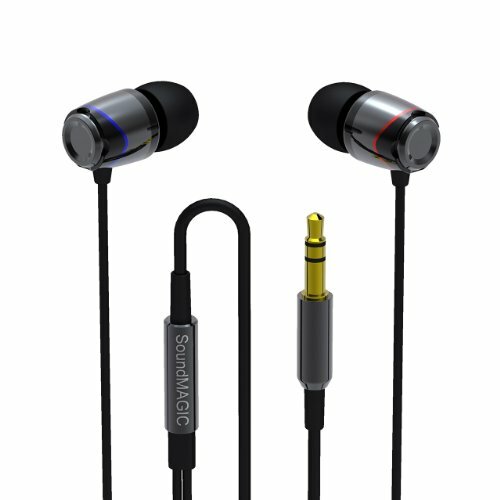 Vsonic have for many years now been producing quality earbuds for enthusiasts. The Vsonic GR07 was for many the best budget in-ear headphones for quite some time and I rated the bass enhanced version the GR07BE highly in our review. This is a company that know sound very well and they know how to make a great earphone. The Vsonic VSD3S are a long awaited update to the range and come in as an incredibly low price of just $49 to those in the US market. Stylish design, strong accessories and an engaging detailed sound make them one of our favourite sub $50 earphones. The Carbo Tenore represents one of the great audio community finds of the past 5 years. Before this massive fan thread on Head-Fi grew to over 400 pages Zero Audio were relatively unheard of but now are consistently praised for their efforts in brining great sound quality to portable audio fans at very reasonable prices. There is a reason that people talk so fondly of them because these earphones offer up a sound that can compete with those many times the price. 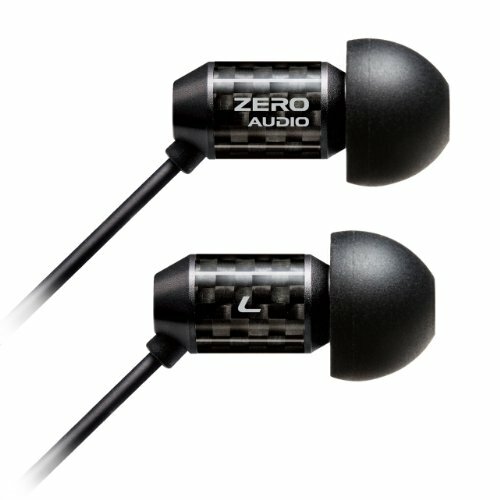 In our time with the Zero Audio earphones we found the highs and mids to be nicely balanced and a nice tight and punchy bass. Soundstage was excellent as was stereo separation. Build quality was is another reason to buy the Carbo we have had them for almost 2 years and they are holding up perfectly. A solid purchase if you are particularly tough on your gear. 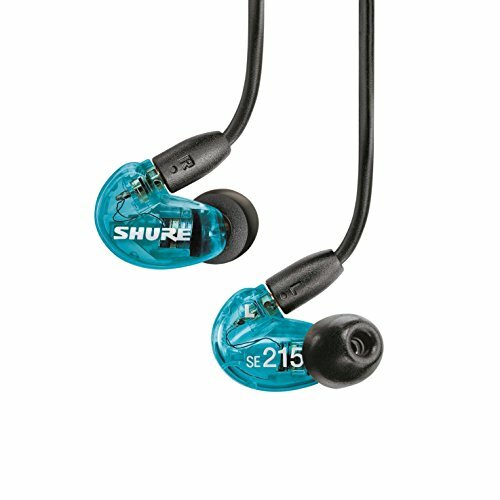 Our pic for the best budget in ear headphone for many years was the Shure SE215. Its hard to believe that you can get an IEM this good under $100 but Shure have done it and during our review we highly impressed not just with the sound, build quality and design. 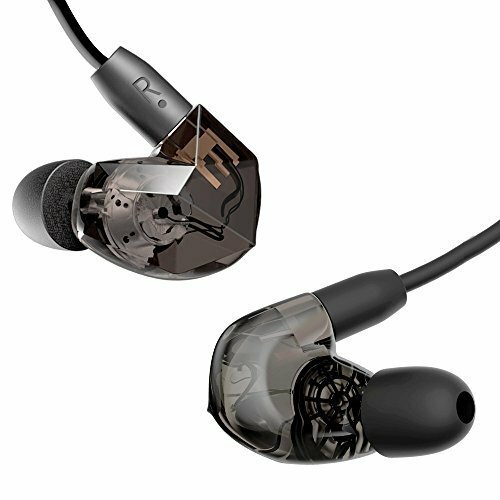 The SE215 is and earphone designed to be used as a stage monitor and as such it takes a number of design queues from it far more expensive brothers in Shures SE range. You get a whole lot of earphone as a result. The build quality is phenomenal and they are designed to take a beating and continue to pump out the tunes. Shure "house sound" (or brand tuning) is famous in the audio community and you get it in spades here and it also comes in the choice of a few different colours to boot. They are certainly good looking earbuds but have the sound quality to back them up and a feature set and build quality that others can not get close to at this price point. 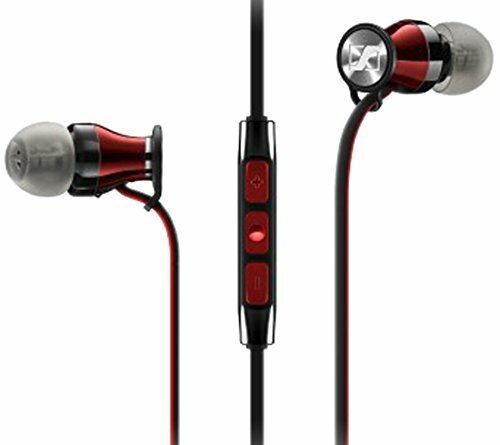 The Sennheiser momentum series has been about great sound and design for those who are using there earphones on the go. This has made the momentum series one of the most popular earbuds for commuting and travel and often one that you will see in airports all around the world. The design is very cool looking yet at the same time still very comfortable due to its ergonomically shaped housings and novel strain reliefs. Just a few months back the Momentum were priced around the $100 mark but you can now find them on Amazon for well under that now which makes them a great value buy for the budget audiophile. They have a fairly neutral sound with a nice amount of bass that goes well with a number of modern genres such as pop, R&B, Hip Hop etc but the perform equally as well when playing rock and acoustic music. The momentum range also work with smartphones and are the only set of earbuds with microphone on this list. Call quality is crisp and clear and the inline remote also offers users some extra added functionality such as play, pause, skip and of course volume up and down control. All in its a great and stylish package from one of the biggest companies in portable audio.